Morning blood pressure surge (MBPS) is a part of diurnal blood pressure (BP) variability. It has been correlated with increased cardiovascular (CV) risk. An increase in BP after waking is a physiological phenomenon; however, a marked and rapid MBPS is associated with increased CV risk. There is mounting evidence suggesting significant associations between MBPS and cardiac, cerebral, renal, and vascular damage. The difference between BP readings 2 h after rising and the average of all readings during sleep can be the most reliable approach for assessing the MBPS. There is no consensus over the definition, pathophysiological mechanisms, and treatment strategy of MBPS. There is a need for better understanding of this phenomenon. This Chapter discusses up-to-date data on MBPS with special emphasis on its definition, etiology, clinical outcomes, diagnostic evaluation, and treatment strategy. Home BP monitoring can be a useful tool in the assessment of MBPS. Control of morning hypertension can be considered as a cornerstone in 24-h BP control. 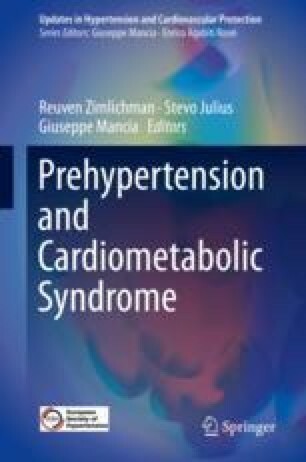 Specific treatment for controlling morning hypertension includes the selection of a specific class of antihypertensive drugs, such as inhibitors of sympathetic activity or the renin angiotensin system and appropriate timing of dosing. Exaggerated MBPS can be treated with long-acting drugs, with the bedtime administration. Control of the MBPS would lead to effective CV protection in patients with hypertension.